Buster’s Old Time Photos, which operates two locations in Branson, MO, is opening its first Texas location in historic downtown Galveston. This awarding-wining photo studio is a popular attraction in Branson and scheduled to open in early June in Old Galveston Square, 2217 Strand. Visitors of all ages can dress in authentic costumes and be professionally photographed with corresponding themed backdrops. 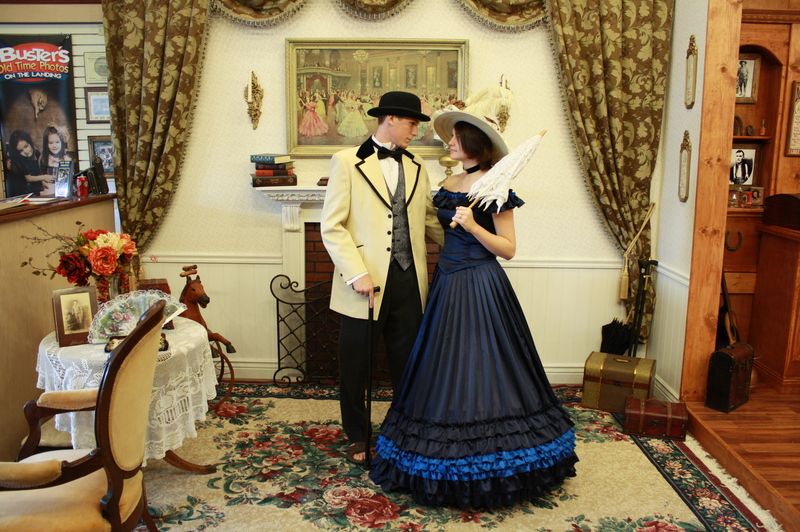 Patrons can choose from the Roaring 20s, southern belle, Victorian, western and pirate themes. Those dressed for the Roaring 20s will be pictured in a classic speakeasy while the old west will be captured in a saloon. Ladies can choose to be a southern belle or dress to reflect the Victorian era while pictured in a classic historic home. Another option is to dress as a pirate and be photographed on the deck of a pirate ship. Buster’s Old Time Photos is a family business owned by brothers Trent and Lamont Edward and their brother-in-law Andy Metcalf. Buster’s is named for the Edwards’ great uncle Buster Edwards who was a world traveler, photographer and jack of all trades. Buster’s Old Time Photos is a family business based in Branson, MO. Brothers Trent and Lamont Edwards and brother-in-law Andy Metcalfe opened their first location in 2009 and currently operate Buster’s on the Landing and Buster’s on 76 Music Blvd. in Branson. The studio is a member of Antique and Amusement Photographers International, the only professional organization dedicated to old time photo industry. The brothers wanted to find an opportunity to capitalize on living in a tourism town and their love for photography sparked the idea for the business. Buster's Old Time Photos is opening its first location in Texas in historic downtown Galveston. This award winning studio is opening its newest location in June at 2217 Strand in Old Galveston Square. 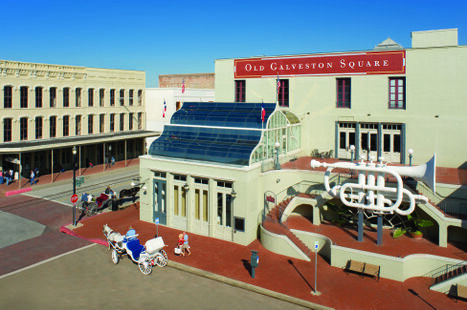 Old Galveston Square pictured from corner of 23rd and Strand. Old Galveston Square offers retail, office and event space. Retail tenants include Buster's Old Time Photos, Head to Footsies, Rocky Mountain Chocolate, The Admiralty, Primitive African Art Gallery and Sante Fe Trails.